PALMDALE – The Palmdale City Council is accepting applications for one planning commission position in District 4 to fill the remainder of a term to expire on June 30, 2020. 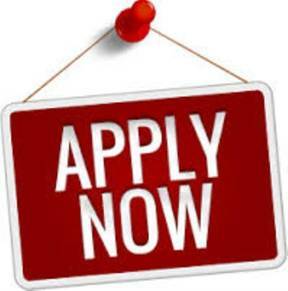 The deadline to return applications is Thursday, Jan. 31, 2019, at 6 p.m., in the City Clerk’s department, located at 38300 Sierra Highway, Suite C.
A description of the duties, responsibilities, and benefits; district map; and the planning commission/volunteer applications are available in the City Clerk’s department and on the City’s website at www.cityofpalmdale.org/Your-City-Hall/Boards-and-Commissions/Planning-Commission. Applicants must reside in District 4, which is generally bounded by 35th Street East to Avenue R to 45th Street East and eastward. Applicants are encouraged to attach a resume and should have basic knowledge of the city’s zoning and subdivision ordinance and General Plan. Applicants also should be able to attend regular monthly evening meetings plus additional meetings as needed. A substantial time commitment is required. As part of the final selection process, applicants will be required to pass a Livescan fingerprint scan submission via the California Department of Justice. The Commission meets on the second Thursday of every month in the Council Chamber. Commissioners receive $100 per meeting with a maximum of $200 per month. The city of Palmdale is accepting applications for the non-paid position of Housing Authority Commissioner to fill a term to expire on Sept. 30, 2019. Applicants must be a tenant in good standing at one of the following Housing Authority properties: Boulders at the Ranch 1, Boulders at the Ranch 2, Boulders at the Lake, La Quinta Apartments, Summerwood, Park Vista or The Impressions. The Housing Authority meetings are called as needed and are generally held in the Palmdale City Council Chamber, located at 38300 Sierra Highway, Suite B, on the first Tuesday of the month at 7 p.m. Applications for this non-paid position are available on the city’s website at www.CityofPalmdale.org and in the City Clerk’s office, 38300 Sierra Highway, Suite C. Applicants are encouraged to attach a resume. Application deadline is Thursday, Feb. 14, 2019, by 6 p.m. As part of the final selection process, applicants will be required to pass a Livescan fingerprint scan submission via the California Department of Justice. If appointed, a completed state mandated Statement of Economic Interests would be required.